Who is the best MMA ref? Did the etvshare post the prelims to ufc 172 yet??? Does anyone know any good Muay Thai holds andCombos? The 5x UFC Vet, Canadian mixed martial artist is still kicking. Now ranked as 3rd heavy weight in Canada. He is now to feature in the World Series of Fighting 07' taking on fellow Canadian Dwayne Lewis, who also is on a winning streak with another fight coming up in November. Starnes knocked out two out of three of his last opponents within minutes. He had a lot of fan before the UFC debacle. Let's hope he can win them back this time. Starnes fight will be featured on NBC sports network, December 7th. a poll è stato aggiunto: Who is hotter? a poll è stato aggiunto: Who'd win? an answer was added to this question: Did the etvshare post the prelims to ufc 172 yet??? 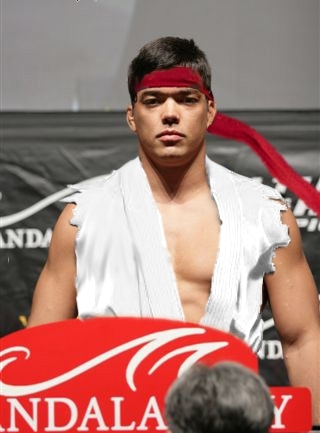 Who hasn't Lyoto Machida beaten?